Find the materials and finishes to give your kitchen a classic country look without sacrificing its lustrous shine. The draw of the country kitchen is undeniable. But how do you balance rustic flair and sophistication? Designer Jo Ann Alston of J. Stephens Interiors has discovered the sweet spot. Crafting a kitchen that is both pastoral and luxurious comes down to materials and finishes. Jo Ann collaborated with architect Barbara Vincensten on the overall look of the space, from windows to moldings, and worked closely with The Hammer and Nail, Inc., on the cabinetry, island and unique hood. "The range hood is a custom piece made of patinaed copper," Jo Ann explains. "When you get it custom made, you have your choices of finishes, from cooper to patinaed copper." It was specially designed to feature a quaint round window, which brightens that space. 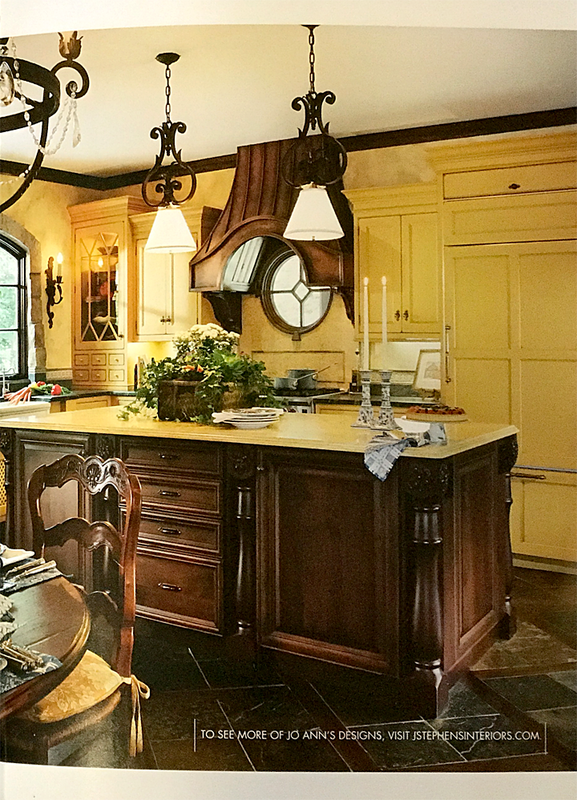 The gold cabinetry was not easy to match, but when Jo Ann looked to top off the island, she discovered a unique choice: a slab of Jerusalem yellow limestone that is a near-perfect color match. "It's not like the limestone that you see that appears beigey gray - it's gold," Jo Ann says. "Does it match the cabinets exactly? No but it's complementary." The flooring is a cornerstone of a country kitchen - often wood that shows its years of traffic. However, scuffed floors work against a clean French aesthetic. Jo Ann opted to mirrow the classic pattern but with a twist. 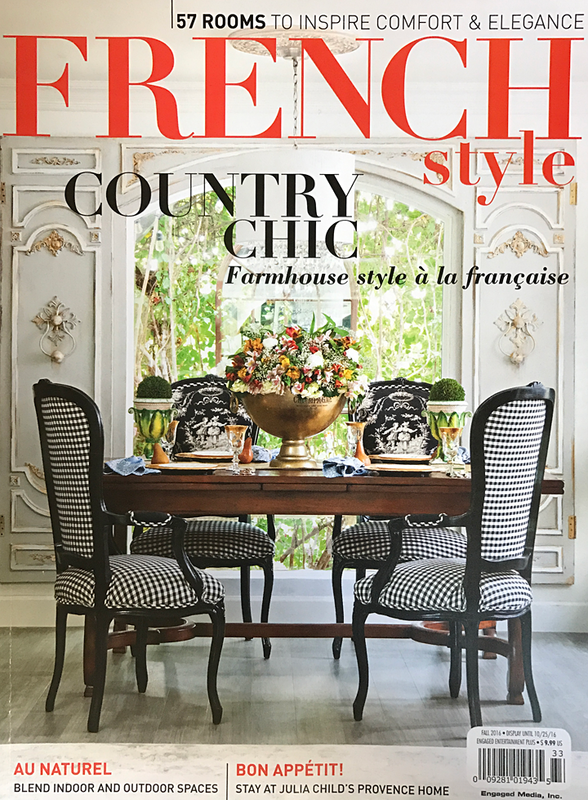 "They're taken from an idea you see in old French houses, grand homes that might have the basket-weave wood floors," she says. "We recreated that look using wood and slate... The slate floors kind of downplay it, making it more casual and practical for a kitchen." The country kitchen doesn't have to be all typical wrought-iron and exposed beams. Instead, some refinement can do a rustic space some good.